Build your business quicker than ever by partnering with UDA. We'll provide the software, services, and support you need to help grow your business, increase your client base, and build long-term relationships with your clients. The Certified ConstructionSuite Reseller and Advisor program is designed to offer qualified accountants, bookkeepers, and consultants the ability to grow their client base by offering expert advice and services for ConstructionSuite users. Benefits include: ConstructionSuite Corporate Version for Accountants (a $1,499 value), unlimited help and support from a dedicated team of experts, discounted pricing on UDA products and services that you can pass along to clients, and professional marketing tools and resources designed to add credibility, generate leads, and create long-term clients that can contribute to your bottom line. Why Become a ConstructionSuite Reseller or Advisor? You might know that ConstructionSuite is the widest used project management system in North America, with more users than Timberline and MasterBuilder combined, and that ConstructionSuite is the most popular application for integrating with QuickBooks. But did you know that ConstructionSuite is also available in over 60 other countries, and that ConstructionOnline (our new web-based product) is the fastest growing online service for contractors. Why is this important to you? Because contractors and construction professionals (your potential clients) everywhere know and trust UDA. With your Certified ConstructionSuite Reseller or Advisor membership, you will receive a special version of ConstructionSuite Corporate, (a $1,499 value). This license of ConstructionSuite is designed for your internal use to provide both a full working knowledge of all the power of ConstructionSuite, and also allow you to integrate with your clients files and accounting information during your membership term. Certified ConstructionSuite Advisors receive unlimited technical support and assistance from a special team of UDA TotalCare representatives reserved for ConstructionSuite Advisors. These U.S. based agents offer expert advice for the ConstructionSuite system, advanced QuickBooks Integration, and best-use practices employed by thousands of ConstructionSuite users worldwide. 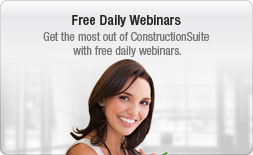 Certified Advisors also receive software updates and upgrades for ConstructionSuite throughout their membership period. In addition to saving over $1,900 on ConstructionSuite software and services provided with the Certified Reseller and Advisor program, as a ConstructionSuite Reseller or Advisor you can receive significant discounts of up to 20% - 30% on UDA products and services for your clients. These discounts can add up fast, and offer another benefit that you can extend to your clients to build lasting relationships. Build your business with professional marketing tools and materials available for Certified ConstructionSuite Resellers and Advisors. These specially designed marketing resources can be displayed proudly and are intended to generate leads, help grow your client base, and show potential clients that you are a knowledgeable ConstructionSuite expert that can be a trusted advisor and consultant for their business. The Certified ConstructionSuite Advisor Program is offered to qualified accountants, bookkeepers, and consultants only, please call for eligibility and other requirements. Annual membership fees cover use of the ConstructionSuite Corporate version, Support and Technical Assistance, Software Updates, Available Discounts for additional licenses of ConstructionSuite, and use of Marketing Tools through the duration of your membership. 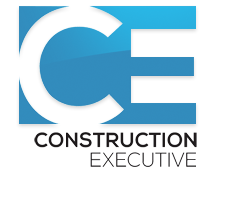 The ConstructionSuite Corporate Version for Accountants is provided for internal office use and integration with a client's data from ConstructionSuite during the membership term. The version included with the ConstructionSuite Advisor annual membership is licensed as a NFR (Not for Resell) version, is governed by the End User License Agreement, and is only valid during during the membership term. ConstructionSuite Advisors receive unlimited technical support and assistance from a special team of UDA TotalCare representatives reserved for ConstructionSuite Advisors. 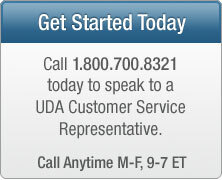 UDA reserves the right to limit calls to one hour and each call to one issue. Discounted pricing applies to software purchased or ordered for a ConstructionSuite Advisor's clients. Discounts apply to the standard list price and do not cover TotalCare or other add-on services. 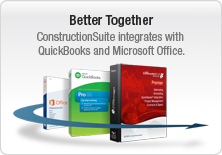 Microsoft Office and QuickBooks are not included with ConstructionSuite. ConstructionSuite, ConstructionOnline, and ConstructionNet are trademarks of UDA Technologies, Inc. RS Means, RSMeans, and MeansData™ Costbooks are trademarks of Reed Construction Data. For further information, please contact a UDA Technologies representative at 1.800.700.8321, Monday through Friday 9 a.m. - 7 p.m. Eastern time.